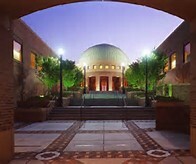 Birmingham Civil Rights Institute (BCRI) and Skye Connect Incorporated have partnered to present a one-day supplier diversity training entitled The Business Imperative of Economic Supplier Diversity with New Metrics and Strategies. The training will take place on Wednesday, July 15, from 8:30 a.m. to 5:30 p.m. at BCRI. The training will be led by nationally recognized supplier diversity expert, Alice Gordon, CEO of Skye Connect Incorporated, along with Layle McKelvey, Supplier Diversity Manager from United Airlines. “The training will demonstrate how supplier diversity can improve innovation, drive technology enhancements, and lower costs in both the service and manufacturing industry,” stated Ms. Gordon. Gordon formerly led the Supplier Diversity efforts at a Birmingham based utility company with nearly 2,000 diverse vendors and millions in spending with diverse companies. The cost is $295 for the day training, $185 for the half-day afternoon event and $79 to attend the reception only. Supplier diversity managers, human resource professionals, sourcing agents, procurement managers, small and medium size business enterprises, elected leaders and business executives are encouraged to attend the one day session. Details, agenda & registration available are now at www.bcri.org. Registered attendees will also have a chance to learn how to do business with United Airlines. United Airlines and United Express operate an average of nearly 5,000 flights a day to 373 airports across six continents. More than 84,000 United employees reside in every U.S. state and in countries around the world. Previous articleCommissioner Jimmie Stephens Can Be Beat?